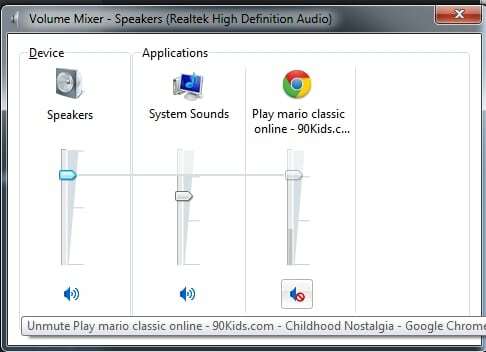 Turn off sound in Games. 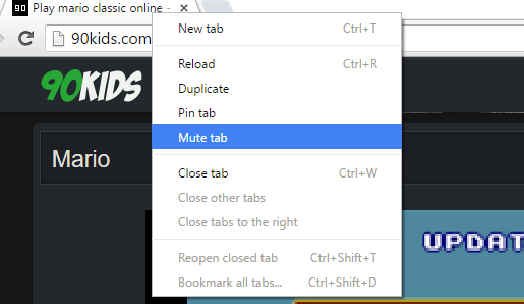 Google Chrome : right-click on the tab – select “Mute tab” ! Q: How can i stop listening the music and still play? I want to listen to spotify while i`m playing? Click the “Mixer” link at the bottom of the volume slider. A list of all open applications that are using sound will display. Click the small blue speaker icon below the name of the Flash game. The advantage to doing so is that only this particular tab will be muted; if you open a new tab or have other sounds playing, they won’t be affected. Q: How do i enter levels on Crash Bandicoot? Q: How do you do special moves!? Kitana D, D, D, D, P (e.g: press down arrow 4 times and then press A (punch) ). Is there any way to play games with a controller?